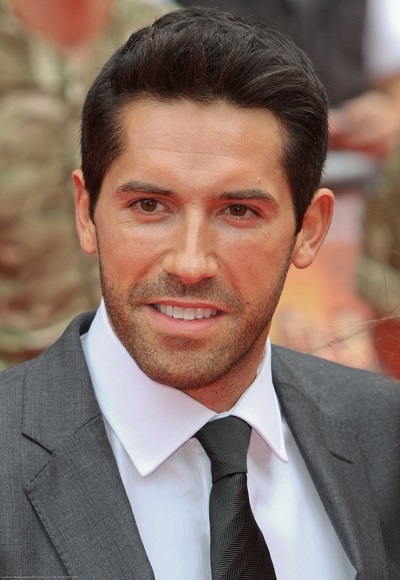 Place of Birth: Sutton Coldfield, Birmingham, Warwickshire, England, U.K.
Scott Adkins is an English actor and martial artist. He is known for playing Yuri Boyka in the Undisputed movies, and usually stars in action films. Some websites state that one of Scott’s great-great-grandmothers was Spanish. It is not clear if this is accurate. Scott’s paternal grandparents were Albert E. Adkins and Lauretta Dickinson (the daughter of parents surnamed Dickinson and Worthington). Lauretta was born in Aston, Warwickshire. Scott’s maternal grandparents likely were Thomas W. Sanders and Ethel Sleet (the daughter of Edward Sleet and Elsie L. Taylor). Ethel was born in Birmingham North, Warwickshire. Im a lucky guy you know ?? I met this great Person live at the Filborse in Germany 14 July 2015 , he is a nice down to earth Person . I always thought he is Irish or Scottish but surprised that he is pure English . This hot Mediterranean looking man is JUST English? You know, the ethnicity of Brad Pitt, Prince Charles, Robin Williams and Harry Styles…?